The Society of Cartographers warmly welcomes you to its website. We aim to support and encourage all those involved in the production of maps. By providing information and opportunities to contact, meet and exchange views and techniques, we hope to support and encourage those involved in all aspects of mapmaking and maintain a high standard of cartographic illustration. The Society’s membership is widely drawn from the education sector, statutory institutions, local authorities, public utilities and the commercial and publishing industry. The majority of the membership is UK based, but with a significant world-wide membership. The Society was founded in 1964 at the University of Glasgow and was originally named the Society of University Cartographers. In 1989 the Society adopted a new title and constitution, opening up membership to all in the cartographic community, and in 2014 we celebrated our 50th year! 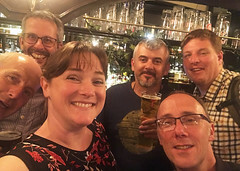 The 2019 Society of Cartographers Annual Summer School Conference will be held jointly with the British Cartographic Society on the 11th and 12th September at Great Britain’s National Mapping Agency – Ordnance Survey HQ, Southampton. Attracting specialists from commercial, academic, and governmental organisations whose common interest lies in using and promoting maps as a valuable communication device, it provides both a valuable and enjoyable opportunity to learn and share information about recent projects, join focused discussion groups and network with colleagues and experts sharing the same interest. Mores details are available on our Summer School conference page. 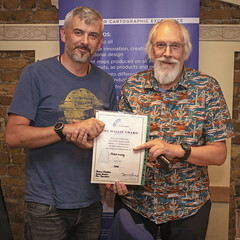 The best way to be involved and connect with other cartographers is to become a SoC Member. Join us for exclusive access to our journal ‘Bulletin’, Newsletters and Members’ Area resources. Group email for cartographers (‘CARTO-SoC’) – with over 400 subscribers from more than 20 countries around the world.